Israeli activists and MKs have called for imposing the Israel curriculum on Palestinians living in occupied East Jerusalem who hold Israeli IDs, Israel Hayoum reported yesterday. The newspaper referred to a group of five Palestinian girls taken for a trip to visit the grave of Fatah founder Yasser Arafat and the Mahmoud Darwish Museum adjacent to it. The trip was part of a series of activities related to an international reading competition. 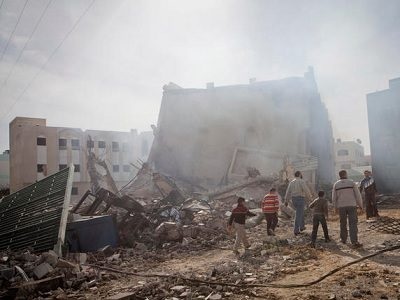 However, the newspaper referred to the trip, by students and a teacher from Al-Rawda School run by the Islamic Waqf of Jerusalem, as an activity that preceded the 13th anniversary of Arafat’s death – November 11. 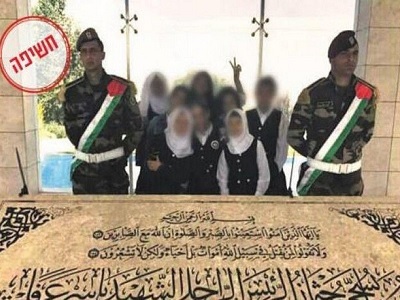 It also reported that the schoolgirls and their teacher visited Mahmoud Darwish Museum, referring to it as the museum of the “arch terrorist” Yasser Araft. “A reality in which schoolgirls from East Jerusalem who hold Israeli ID cards visit the grave of arch terrorist Yasser Arafat crosses a red line in terms of the education permitted in the Arab sector of East Jerusalem,” said Maor Tzemach, director of Israeli organization Lach Yerushalayim, which tracks the goings on in East Jerusalem and calls to enforce Israeli sovereignty throughout the city. “They are funded by us as residents and receive health services and national insurance,” he said, “we need to put all these teachers and students to order. Israelis must stop using the terrorist Ben Gurion Airport.